A decadent sensory experience that nourishes your brain, fuels your body, and expands your soul. Legacy Cacao is unlike any other ceremonial-grade cacao you’ve ever experienced. 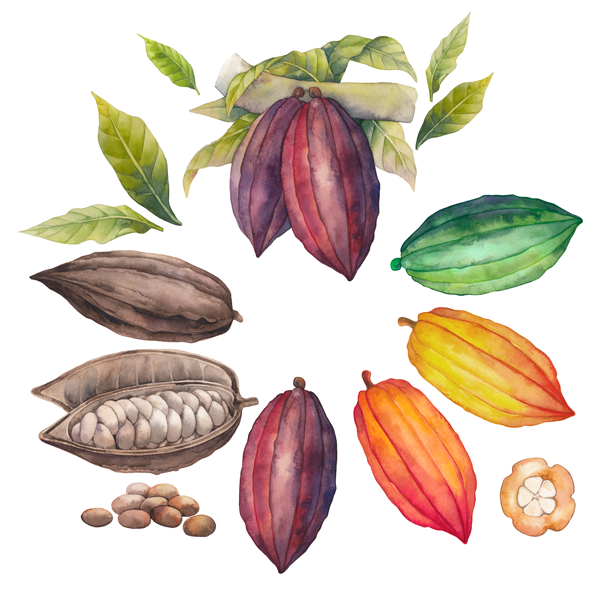 The intentionality infused at every stage from seed to sip results in what we believe to be the most pure and energetically potent cacao on the planet. One sip and you are immediately enveloped by the warm sensory experience and heart-opening plant medicine. It is a gentle, yet powerful transformative addition to any morning routine. Many of our customers far prefer Legacy Cacao over coffee, tea, energy drinks or even breakfast. It helps you to drop into your zone of genius, provides added mental clarity and alertness, boosts energy without any crash, and reconnects you back to your heart and Soul Truth. Our cacao arrives to you as a stone-ground powder combined with a Mayan spice blend, vanilla and panela, wrapped in a colorful, hand-woven cloth bag. It is prepared by only women, and mixed in ceremony by a Mayan Priestess in accordance with the original Mayan recipe - a secret only given to one respected elder at a time. Legacy Cacao has been entrusted with the honor and responsibility of being the only bridge between this ancient legacy and the rest of the world. We are here in service to you, and to this royal lineage of Mayan people gifting us with their most potent plant medicine. When you purchase a bag of Legacy Cacao directly from our website, we pay it forward with a gifted bag to another special, magical, inspiring human. This sacred plant medicine calls to those Souls who are ready. Ready to release what no longer serves them. Ready to step into pure, limitless freedom. Ready to embrace their Soul Purpose. If you know someone like this who would be a perfect candidate for receiving our gifted Legacy Cacao, please let us know! This is a chance for us all to collectively create rippling vibrational impact in a whole new way. 40 TIMES the heart-protective antioxidants of blueberries. One of the highest concentrations of magnesium in any natural food source. Everything is done with the highest excellence, honor, and respect to preserve the purity of Legacy Cacao from seed to sip. Thank you for joining the Legacy Cacao family! Please check your email to confirm your address.